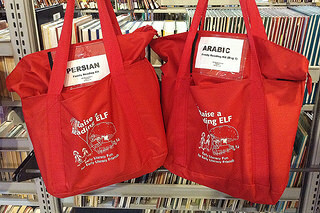 Each Family Reading Kits contains a collection of kids books in a non-English language spoken by Arlington families. View Family Reading Kit availability in the catalog. Family Reading Kits can be placed on hold, and checked out for 3 weeks.